Brethren your voice is your assignment, your purpose, your destiny. Pray for the spirit of excellence. As believers we ought to have that spirit, because that spirit comes from God alone. If you want to have the spirit of excellence then you must first desire to have the fruits of the Holy Spirit. If you want to know how it’s like to be an overcomer, then take a look at Zacchaeus and learn from him. Remember if you seek ye first the kingdom of God, and He’s righteousness, all these things shall be added unto you. Zacchaeus was a wealthy man, but just because he was a wealthy man did not mean he had everything. Zacchaeus did not have Jesus, and if you do not have Jesus in your life, my friend you do not have anything. Zacchaeus was determined to seek Jesus first, because he realised that without Jesus all he had was meaningless. Everyone has something that will try to get in the way of their breakthrough, everyone has a challenge that they must face, and overcome. For Zacchaeus it was his height, but he did not allow his circumstances to overshadow his vision. He kept his eyes fixed on who matters most, Jesus. So he ran ahead and climbed up into the sycamore tree to see Him, for He was going to pass that way. The next thing Zacchaeus does is to take a leap of faith, and run with it. Literally Zacchaeus runs, and climbs up a tree. If you want to be an overcomer then you must firstly seek God, and secondly take a leap of faith. When you take a leap of faith you must run with the vision, and climb mountains. That is the way of an overcomer. An overcomer pushes beyond their boundaries at all costs. A boundary can be removed, if only you can see with the eyes of faith then you will realise that you can do ALL things through Christ and He strengthens you. 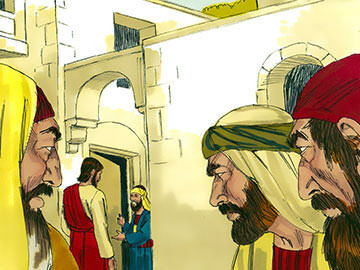 Zacchaeus knew how to strategically position himself, because he knew that Jesus was going to pass that particular way. That’s why it must be every believers prayer to ask the Lord not to pass them by, but to be where the Lord wants them to be. In these last days, you must pray to be at the right place at the right time. Zacchaeus was at the right place at the right time, that’s the way of an overcomer. So number one Seek God first, number two take a leap of faith, and number three strategically position yourself. So when we take all these three steps to being an overcomer, only then will Jesus visit you. Jesus visits the humble, and dwells where faith is. 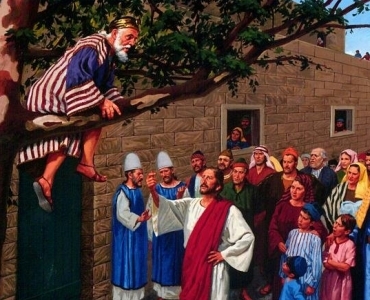 Zacchaeus showed humility, despite being a wealthy man and a tax collector which would’ve made him a man of authority and much importance, Zacchaeus still managed to run and climb a sycamore tree in order to see Jesus, his title did not matter,he was a man of great determination. If you are a man or a woman of faith then your God shall surely visit you. Jesus noticed Zacchaeus in the midst of the crowd, what a privilege and an honour. That’s what your faith in the Lord will do. Jesus did not only recognise him but He spoke with him, and He confirmed that He would stay with him. Brethren remember that Jesus dwells with the humble, and with men and women of faith. Today on the 31st of March, the last day of this month The Lord promises to stay with you, if only you are willing to take the three major steps of faith. Number 4 the way to an overcomer is to be obedient to the call of The Lord. Jesus called Zacchaeus to come down in a haste, and in a haste Zacchaeus obediently came down. Most of the time our breakthroughs are determined by our obedience to God. Zacchaeus did not only obediently answered the call of Jesus, but he also received Jesus joyfully. I mentioned earlier Jesus dwells with humble men and women of faith, but He also dwells with those that joyfully receive Him in their hearts. Are you willing to receive Him in all His totality into your heart today? The choice remains with you, the ball is in your court. If you are willing to receive Him, then He is more than willing to dwell on the inside of you, just like He dwelled with Zacchaeus. 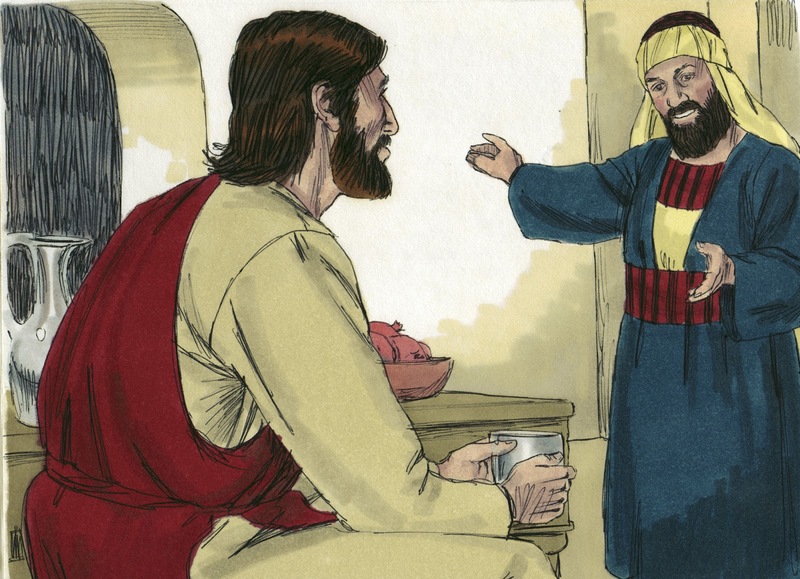 And Jesus was quick to respond to the faith of Zacchaeus, He was quick to fill the void of Zacchaeus. At the end of the day it all boils down to your faith. We may look at outward appearance, but Jesus looks at the heart. As followers of Christ we ought to look through the eyes of faith. They saw a sinner, and the scripture does not specifically identify who they were but let’s say it was the disciples since they were followers of Christ, even we can get it wrong sometimes as believers. Be careful to not allow yourself to be overcome by a self righteous religious spirit, God is not a respecter of persons. Remember also that what matters is what God sees and says, not what man says. What man says is irrelevant if it does not come from God. How to identify whether you have a self righteous religious spirit is when everyone’s sin is acknowledged but your own. I think this is my most favourite part in this scripture. Number 5 the way to being an overcomer is to know who you are Jesus Christ. 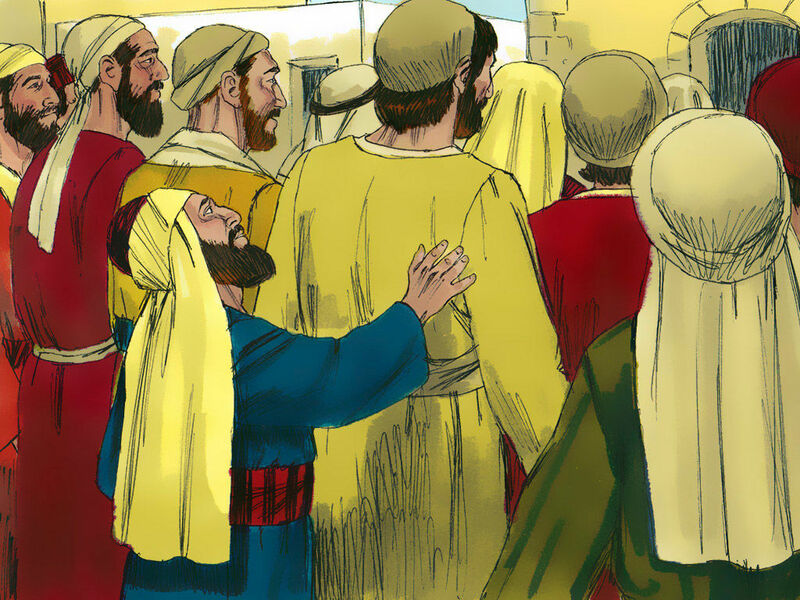 Zacchaeus took his stand in faith, and he spoke in faith. How do you take your stand as a believer? You pray in faith. That is how you will always remain victorious. Remember the enemy is always out to accuse you because of sin, but remember that we have become the righteousness of God through Jesus. And there is now therefore no condemnation for the sinner that repents. satan can never accuse a repentant man or woman of God. Get up and stand in the face of the enemy, tell him who you are in Christ Jesus. Also remembering to fight your way through prayer. For since the days of John the Baptist the kingdom of God suffereth violence, and what do the violent do? They take it by force! Zacchaeus responded wisely, he knew all he had belonged to God and he was willing to let go of all these. Therefore what could the enemy say against him? Nothing. If you are not willing to let go of the things that the enemy has enslaved you to, then he will have every right to accuse you on the day of judgement. The enemy tried it with Job you remember when he tried to accuse Job in the presence of God, because of all he had. The enemy believed that if God was to take all these things away from Job he would reject God, but Job proved the enemy wrong! We must let go of the things that are not of God, that is the only way the enemy will not be justified in his attempt to accuse you. So let go, and let God have His way. Search you heart, be watchful and prayerful. And this pretty much sums up the whole scripture. Seek the Lord whilst you may still be found. Number 6 the way to being an overcomer is to repent. Repentance is the only way to receiving salvation, and eternal life which can only be found through the acceptance of Jesus Christ. God richly bless you as you enter into this faithful new month. Arise for you are an overcomer, you are more than a conqueror! Our God is amazing right! Besides we are vessels used for His glory, you never know who God is using you to bless at that particular time. Remember also that you are always answerable to God no one else but Him.